US futures are pointing to a higher open today after ending lower on Monday, amid trade war concerns and technology regulations. Investors still remain cautious on global trade conflict between US and China. Also, President Donald Trump’s attack on Amazon.com (AMZN) remains a concern for traders. 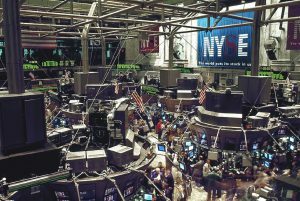 The S&P futures rose 0.69% to 2,592.75, Dow futures gained 0.62% to 23,698, and Nasdaq advanced 0.97% to 6,455.50. Elsewhere, shares at Asian markets closed mostly lower on Tuesday, and European stocks are trading in the red. On the European economic front, data from the IHS Markit showed that Italy’s manufacturing activity fell to 55.1 in March from 56.8 in February. The Turkish Statistical Institute data revealed that Turkey’s consumer price inflation eased to 10.23% in March from 10.26% in February. NEVI and IHS Markit data showed that Dutch manufacturing purchasing managers’ index fell to 61.5 in March from 63.4 in February. The labor ministry data revealed that Spain’s unemployment fell by 47,697 in March from February. IHS Markit data showed that euro-area manufacturing purchasing managers’ index fell to 56.6 in March from 58.6 in February. Another data revealed that Spain’s manufacturing activity dropped to 54.8 in March from 56 in February. The United Kingdom manufacturing sector rose slightly to 55.1 in March from 55 in February. On the Asian economic front, the Reserve Bank of Australia decided to maintain its key interest rate unchanged at 1.50% and CPI inflation is expected to be a bit above 2% in 2018. The Bank of Japan said the monetary base in Japan rose 9.1% on year in March after increasing 9.4% in February. Statistics Korea data showed that consumer prices in South Korea grew 1.4% on year in March after rising 1% in February. IHS Markit data revealed that India’s manufacturing purchasing managers’ index fell to 51 in March from 52.1 in February. 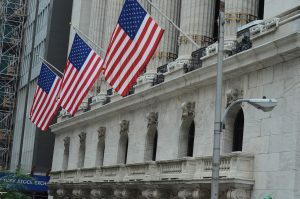 On April 2, US ended lower, with Dow down 1.90% to 23,644.19. Nasdaq plunged 2.74% to 6,870.12, and S&P 500 fell 2.23% to 2,581.88. Markets remained concerned on renewed trade wars. The Institute for Supply Management data showed that purchasing managers’ index fell to 59.3 in March from 60.8 in February. A Commerce Department data revealed that construction spending rose at a slower pace in February when compared to consensus. China imposed a 15% tariff on 120 American products including fruits, nuts, wine and steel pipes, and a 25% tariff on eight other products such as pork and scrap aluminum. This comes after Trump intending to impose about $50 billion of tariffs on Chinese products. Meanwhile, key economic events scheduled for today include Redbook data, and comparable store sales from chain stores, discounters and department stores. Minneapolis Federal Reserve Bank President Neel Kashkari and Federal Reserve Governor Lael Brainard will be giving speeches today. Spotify Technology is expected to make its trading debut on the NYSE today under SPOT ticker. On the corporate front, Walmart (WMT) moved up 0.76% in the premarket after it is in talks to buy PillPack, according to the CNBC. Walt Disney (DIS) inched up 0.24% in premarket after it expressed interest in buying Sky News, which is proposed to be separated from the rest of Sky Plc by 21st Century Fox (FOX). Spotify Technology is expected to make its trading debut on the NYSE today under SPOT ticker. Crude oil futures are up 0.60% to $63.39. Gold is trading down 0.24% to $1,343.80, and silver is down 0.55% to $16.58. On the currency front, the US dollar is trading up 0.44% at 106.27 yen. Against the euro, the dollar is up 0.13% to $1.23. Against the pound, the dollar is up 0.15% to $1.41.